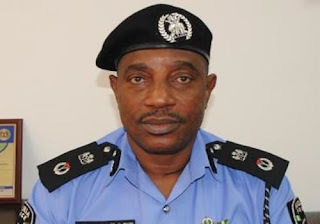 The National Industrial Court of Nigeria, Abuja, has ordered the Inspector-General of Police (I-G), Solomon Arase, to appear before it on Feb. 8, 2016 to show cause why he should not be committed to prison for contempt. Justice Peter Lifu gave the order in a ruling he delivered on Monday in a post-judgment case on wrongful dismissal of Sgt. Atabo Okpanashi. “The I-G thinks that he is a big fish and has refused to obey the order of the court and has not even sent a representative or any apologies all through the case. “He feels he can do anything with impunity. “With this new era of change, one would have thought that the I-G, being a number one law enforcer, would have known that he is not above the law and must comply with court orders. “By the rules of the court, my oath of office and regulations of the National Judicial Council, I order that the I-G be present in court on Feb. 8 to show reason why an order for committal to prison should not be made against him. “It is not good that the Nigerian Police Force, a public institution, and the court, another public institution, should be on a collision course, it would create a state of anarchy. “On Dec. 2, this court granted a short adjournment till today for the Police institution to purge itself of contempt by registering appearance. “The refusal of the I-G to appear before the court after several notices were served on him is the height of impunity,’’ he said. Recall that Okpanashi had sued the Police before the court over his wrongful dismissal and had demanded payment of all his entitlements and emoluments. On May 13, 2014, the court had in a judgment ordered the reinstatement of the sergeant and the payment of all his entitlements and emoluments. The court had held that Okpanashi was wrongfully dismissed in July 2009 on the purported allegations of discreditable conduct, breach of contract and corrupt practices leveled against him by the Police. More than one and half year after the judgment, the Police Service Commission had complied with the court by reinstating Okpanashi on Dec. 8. The I-G had, however, failed to effect the payments of Okpanashi’s entitlements thereby resulting in the post judgment case.